I hemmed and hawed over which Twins closer belonged on this list. Ultimately, I decided Rick Aguilera’s superior postseason numbers nudged him over the team’s all-time saves leader, Joe Nathan. Aguilera was nails in the Twins’ run to the 1991 World Championship. Though he took the loss in Game 3 after hitting in a bizarre sequence in the top half of the inning (it’s a long story), he saved both Games 1 and 2 and was the winner of Game 6 after Kirby Puckett’s legendary home run. Aggie was also perfect in the ALCS, securing 3 saves in 3 chances against the Toronto Blue Jays. In addition to his 1991 playoff performance, Aguilera was also a three time All Star as a member of the Twins, making the Midsummer Classic every year from 1991-93. Joe Mauer has always taken a lot of heat from the fans and media in the Twin Cities, and I have always been under the impression that is partially due to his Minnesota roots. Kent Hrbek on the other hand, seems to be remembered slightly more fondly than he might otherwise be due to his St. Paul upbringing. The difference, in my opinion, is that Hrbek is loud and gregarious, whereas Mauer is very reserved and keeps to himself. Regardless, Hrbek had a great career as a Twin. Though he only made one All Star appearance, Hrbek was a very good all-around first baseman. He hit a very respectable .282 for his career to go along with 293 home runs. His overall World Series batting numbers are poor, but he hit a critical Grand Slam in Game 6 of the 1987 World Series and had his infamous tag out of Ron Gant in Game 2 of the 1991 World Series. He also started a 3-2-3 double play to get out of a bases loaded jam in the 8th inning of Game 7, keeping the game scoreless. Never dull, Hrbek had one hell of a career for the Twins. In his prime, Johan Santana was the most dominant pitcher I have ever rooted for, and made the Twins appointment viewing every fifth game. His stretch from 2004-2007 included two Cy Young Awards (should have been three), a Gold Glove, and three All Star appearances. Perhaps the most astounding stat from that period, amongst many other astounding stats, was the fact he pitched at least five innings for 123 consecutive starts. That had not been done in the Major Leagues in the previous 50 seasons of MLB baseball. In an era of spot starts and taxed bullpens, that is an incredible number. Santana, much like Torii Hunter, proved to be too expensive for the Twins to keep, but his prime seasons in Minnesota will always be one of my favorite stretches as a baseball fan. While Santana’s Twins teams never got over the postseason hump, his meteoric rise to the best pitcher in baseball, even if only for a short while, gets him on this list. An all-time great outfielder who had an ever-improving bat, Torii Hunter was always one of my favorite Twins to watch. Hunter’s glove became legendary patrolling the expanses of the Metrodome’s center field. His outfield theatrics garnered much praise and attention, and won him several Gold Gloves in his career. Hunter made two All Star appearances as a Twin and helped propel the ball club out of the mediocrity it had slogged through for most of the 1990s into a perennial playoff contender. The last act of Hunter’s career was coming back to Minnesota for his last season in the Majors in 2015. 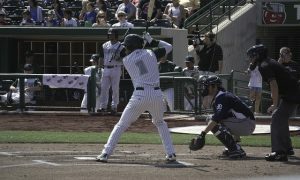 While his speed was much diminished, he hit well for much of the season and was a clubhouse leader for a team that was in playoff contention up until the last week of the season. Bert Blyleven is known for many things. These days, he is best known as the main Fox Sports North color man for Twins broadcasts, which he has been doing for decades. For many years, he was known as being one of the most contentious and debated Hall of Fame candidates until he finally was enshrined in 2011 after an 11 year wait. During his playing career, he was known for a knee buckling, fall off the table curveball, which helped him eventually rack up the 5th most strikeouts in Major League history. The only downside to the curveball is if it gets hung, it gets belted out of the park. As Bert often likes to bring up, he also gave up his fair share of moonshots. Still, half of his great career happened in a Twins uniform, which is more than enough to secure his spot on this list. Tony Oliva was well on his way to a Hall of Fame career before injuries derailed him (this is going to be a trend on this list for a bit). Oliva, Harmon Killebrew and Rod Carew were the engine of an excellent Twins team in the 1960s and 70s. Though this version of the Twins were never World Champions, they were perennial contenders and did take the Los Angeles Dodgers to Game 7 in the 1965 World Series. As for Oliva, he hit for some power and a great average, winning three American League batting titles along the way. He was so good he was on the AL All Star team for eight consecutive years in his prime. Though his body ultimately failed him and kept him out of Cooperstown, he will always be a Twins’ legend. Another Twins superstar whose career has been severely hampered by injuries is Joe Mauer. That being said, Mauer was one of the greatest hitting catchers in Major League history, winning three batting titles in his prime. 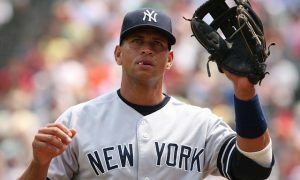 By far his best season was 2009, when he added power to his repertoire on his way to the American League Most Valuable Player award. In addition to his prowess at the plate, Mauer also excelled behind it, winning three consecutive Gold Gloves between 2008 and 2010. 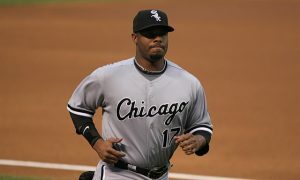 Although he slowed down as a hitter towards the end of his career he remained a plus fielder at first base. It seems unlikely that Mauer will have enough gas to get to Cooperstown, but that shouldn’t diminish his accomplishments. Much like an in-his-prime Joe Mauer, Rod Carew was one of the finest pure hitters in baseball. Carew won an astounding seven batting titles and finished his storied career with a .328 average. He was an 18(!) time All Star in his time with the Twins and Angels. He hit for very little power, but was an exceptionally tough out. Carew’s excellence has been recognized in many ways, including being named the American League’s Most Valuable Player in 1977. Carew was easily inducted into the Baseball Hall of Fame on the first ballot in 1991, and the American League’s batting championship trophy was named in his honor at the 2016 All Star Game. The best slugger in Twins history was also one of the first members of the Minnesota Twins. Harmon Killebrew began his career as a Washington Senator, and moved with the club to the Twin Cities in 1961. Killebrew led the American League in home runs six times and won one American League Most Valuable Player award in 1969. By the time he retired, the only American Leaguer to have hit more homers than Killer was Babe Ruth. Pretty heady company. Killebrew did not hit for a very high average and was noted as a great fielder. As such, it took until his fourth go-around to be elected into the Baseball Hall of Fame. It could be argued that Carew belongs in front of Killebrew on this list, but Killer played in Minnesota longer, and hey, chicks dig the long ball. The greatest Minnesota Twin of all time was not coincidentally also the best player on the only two World Championship squads in team history. Kirby Puckett did a little of everything: He was a great centerfielder in his prime, winning six Gold Glove awards. He was great at getting on base, including finishing his career with a .318 average. His overall strong play earned him 10 consecutive All Star appearances from 1986 to 1995. He was also clutch. In the team’s first World Series win, Puckett hit .357 as the Twins beat the St. Louis Cardinals in seven games in 1987. In 1991, Puckett stole the show in Game 6. He made a leaping catch to rob Ron Gant of extra bases early in the game, then sent everyone home for the night with a walk off home run in the bottom of the 11th inning. Despite the sad endings to first his career and later his life, Kirby Puckett was a Hall of Famer and the best player on the most successful teams in franchise history, and earned the top spot on this list.